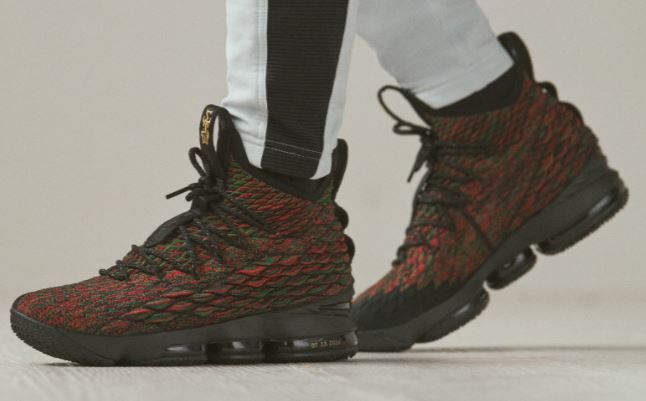 Here is a look at the Nike Lebron 15 BHM Sneaker Available at 10am EST HERE at Nike. Championing equality beyond the game, LeBron is a firm believer that the lines of the court aren’t meant to divide, they’re meant to unite. Leveraging the power of sport as a platform for change, LeBron lifts the voices of all who have inspired him, while empowering the next generation to utilize their voices. The LeBron 15 “BHM” celebrates LeBron’s anthemic rallying cry for equality during the ESPYS on July 13th, 2016 and his mission to continually honor the incredible achievements, actions, and progress of those who came before him. Nike BHM product celebrates Black heritage and has historically provided support to the Ever Higher Fund. Nike is proud to support organizations committed to giving African-American youth an opportunity to realize and reach their full potential.